Most of my work is essentially about chaos. 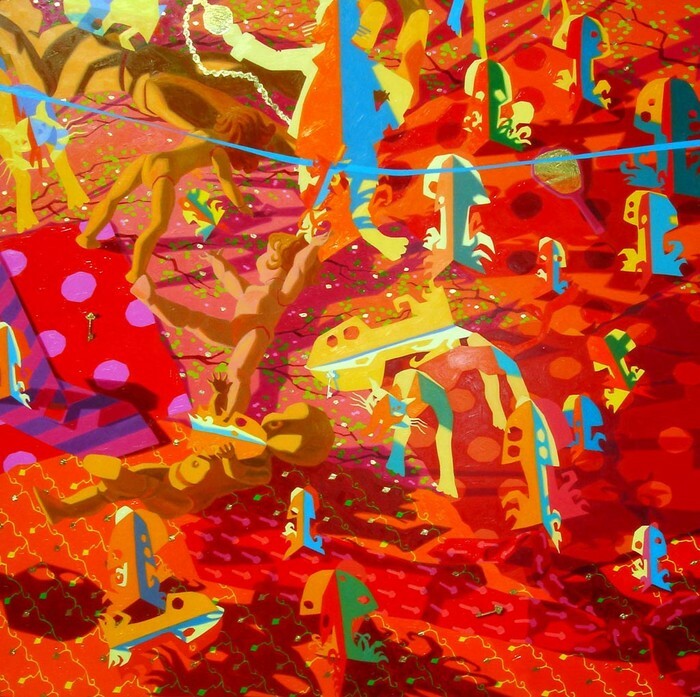 I love complex compositions and am enthralled with color, shadows, and abstracted form. The theme of looking back to childhood remains a consistent one in my work.